Prerequisites: You must be able to swim and be in average physical condition. Youths under 18 years must be accompanied by an adult. You should bring: Your bathing suit, towel and your holiday spirit.Duration of the tour. 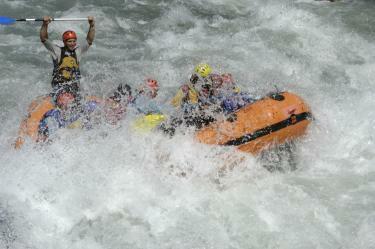 4 hours (2 hours on the river) Price: € 42,00 per person, more than 8 persons: € 40,00 per person. Incl. transfer from your hotel + € 6,00. Why not join us for a day out with the whole family that surely will be one of the highlights of your holiday in Austria! 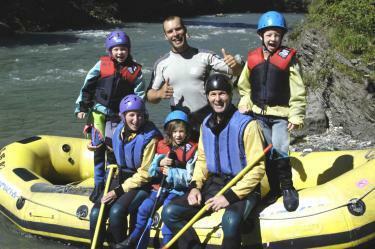 Family Rafting an active sport for the entire family to enjoy together. After giving everyone in the family their equipment (wet-suit, wet-suit jacket, neoprene shoes, paddle-jacket, life jacket and helmet) we drive you to Lend where the fun begins! Following an extensive safety briefing and swim test we will splash and paddle the 9 km to Schwarzach. In Schwarzach your Taxi will be waiting to drive you back to Taxenbach. Even though family rafting is conducted on easy white water, you should be prepared for the fact that we do paddle through some big waves.Prerequisites: Everyone must be able to swim and in average physical condition. Entdecken Sie die Natur von ihrer spritzigsten Seite! 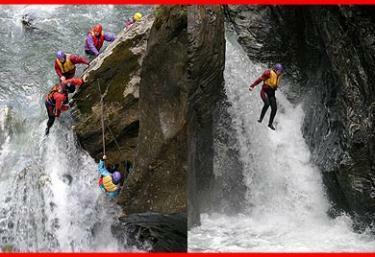 Canyoning ist eine Mischung aus Wandern, Abseilen, Klettern, Wasserfallspringen und Schwimmen. Schluchten werden zu Rutschbahnen, Felsbecken zu Whirlpools, Vorsprünge zu Sprungbrettern. Canyoning ist das neueste Abenteuer, das die Alpen erreicht hat. Ein Erlebnis für alle, die Spaß und Abenteuer zu gleich haben wollen. Mitzubringen sind: Schwimmkenntnisse, eine durchschnittliche Kondition, Badebekleidung und Handtuch - sowie ein erwachsener Begleiter für Jugendliche unter 18 Jahren. 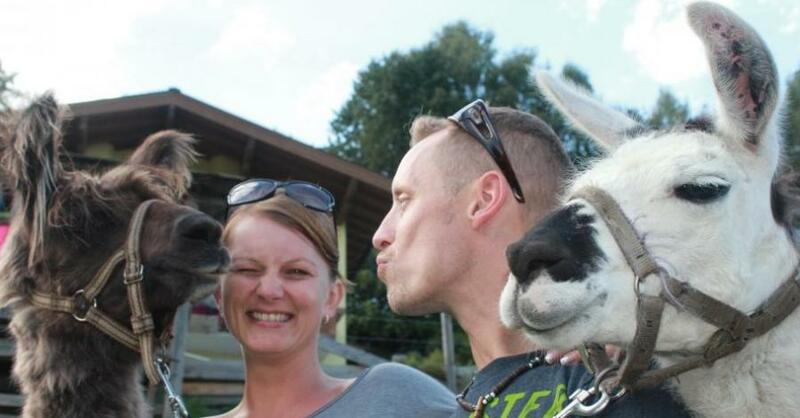 Die gute Laune stellt sich von selbst ein. Tarif € 59,00 per Person, eigenes Auto erforderlich! Don’t panic, you do NOT have to jump of something, you won’t have the feeling of falling either! You can marvel at the panoramic bird's-eye view of the blue lake and rocky mountain massif. The key for such independent adventures in the sky and above the clouds is your pilot's licence. Flights & Price: Classic flight: ~ 25 min., altitude 1200 m , Price: € 110,00 excl. cable car ca. € 15,00 (cable car Schmittenhöhe with guestcard), junior ca. € 9,00. Sportschule - fachliche Betreuung von Gästen in Ausübung des Sommersportes. BergwanderführerIn, Nordic Walking Guide, SchneesportlehrerIn, Segellehrerin, Raftingausbildung.